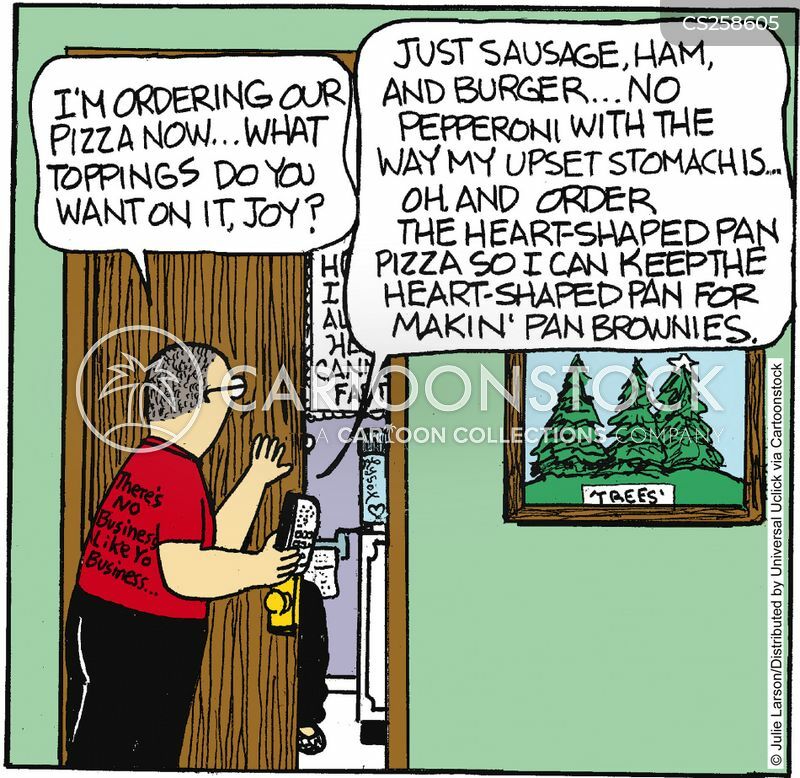 "Wow. 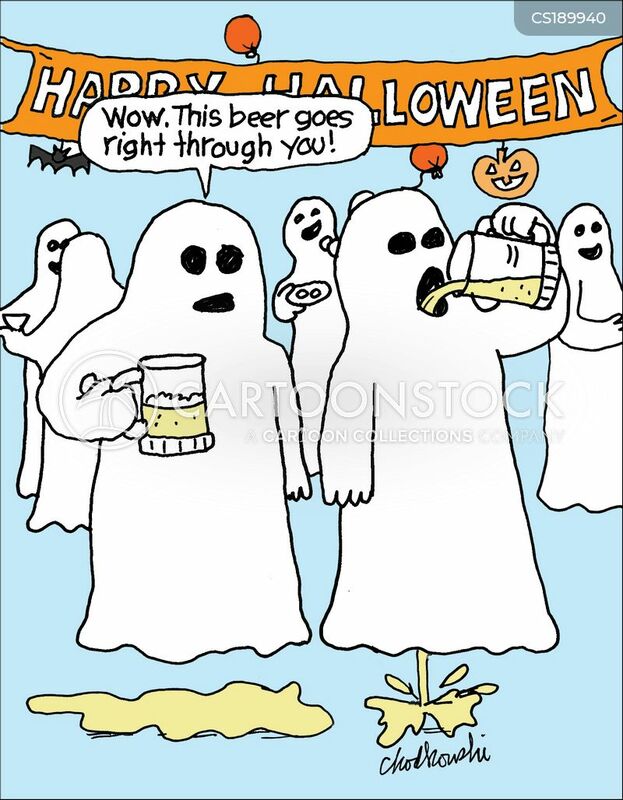 This beer goes right through you!" 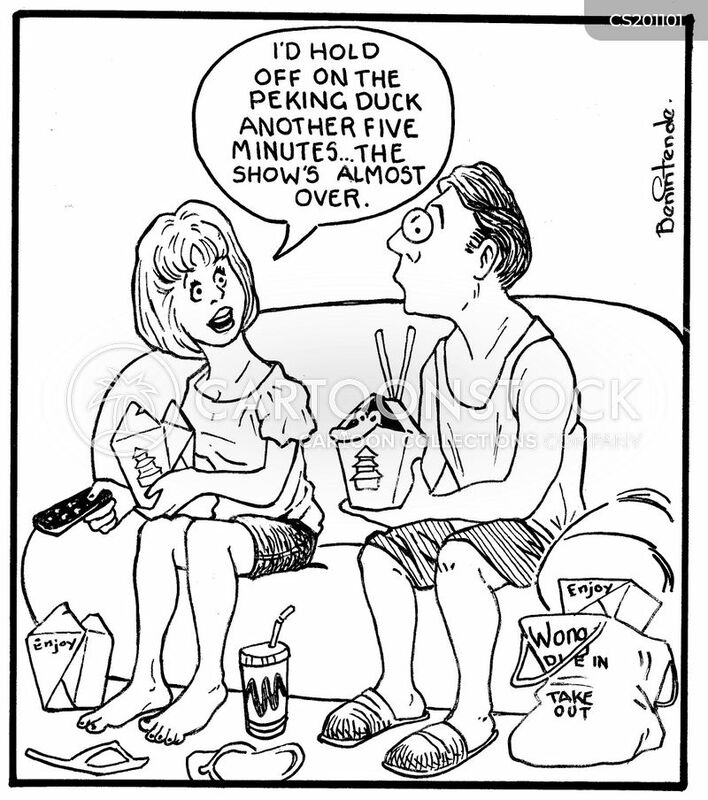 "I'd hold off on the peking duck another five minutes...the show's almost over." 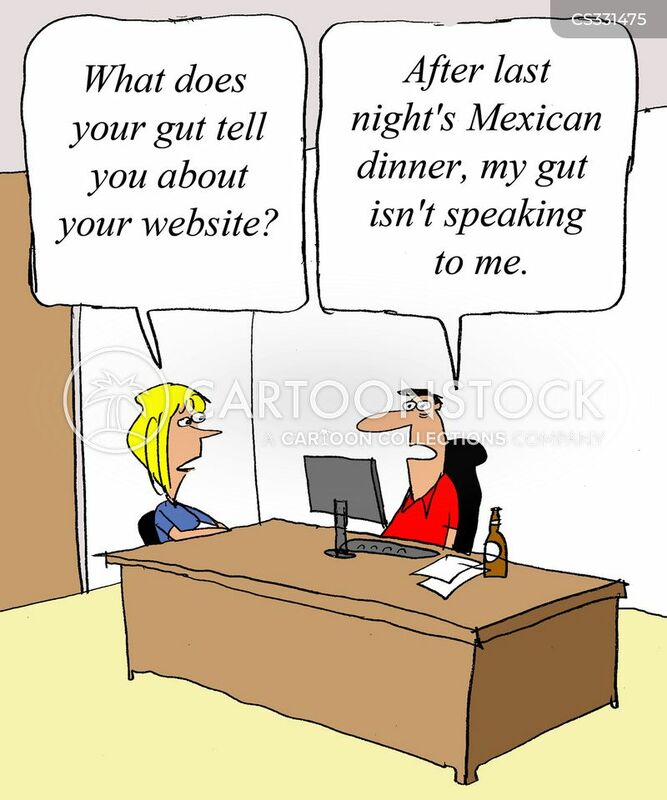 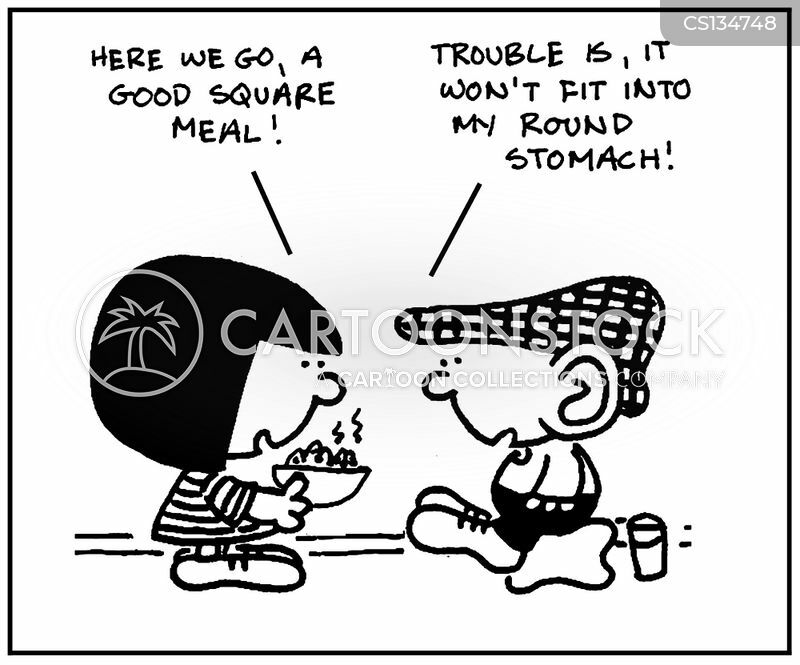 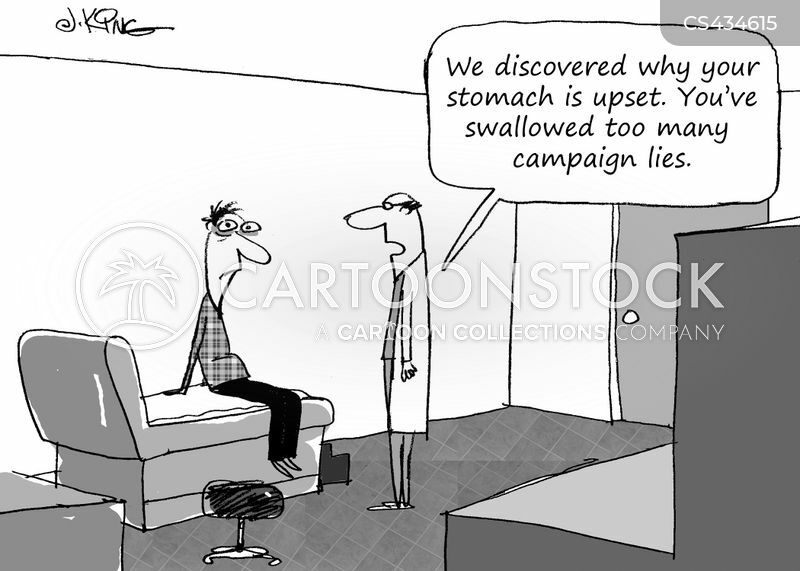 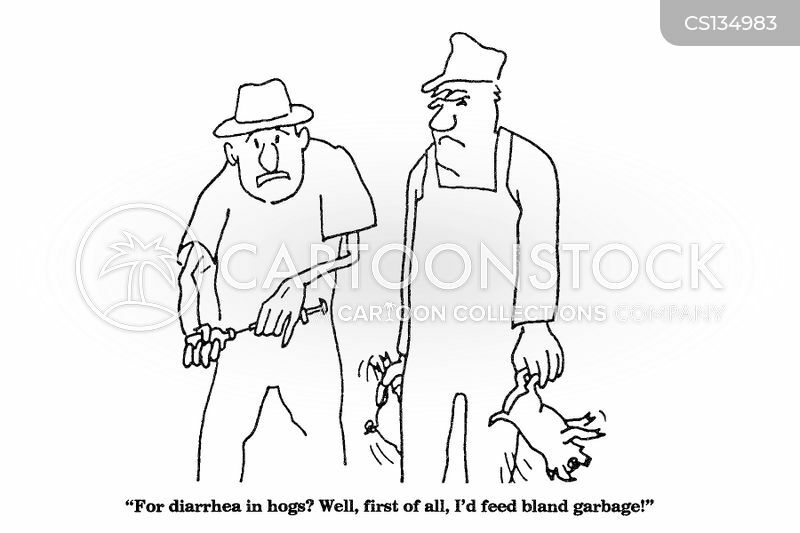 "We discovered why your stomach is upset. 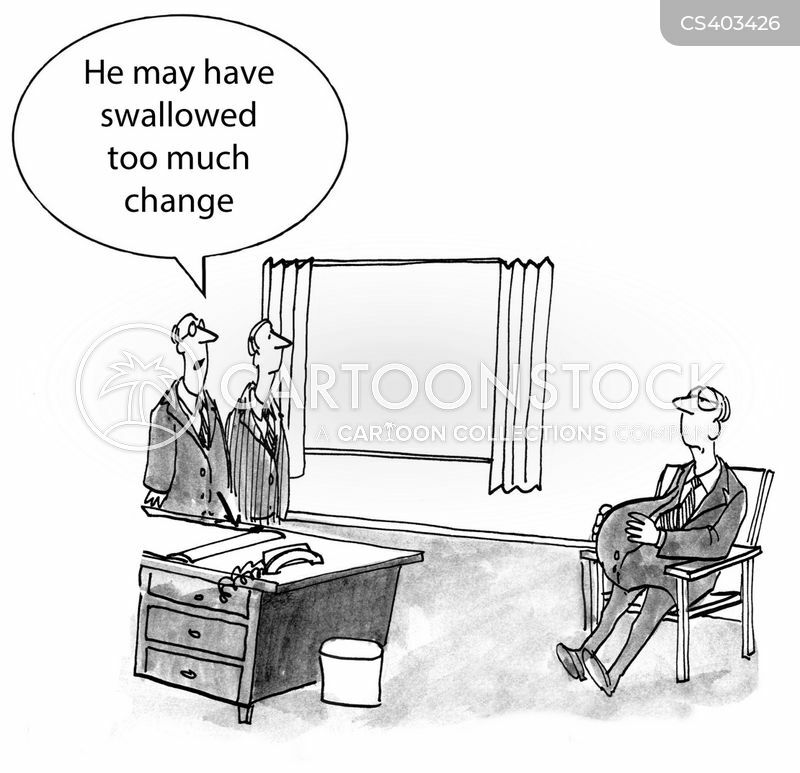 You've swallowed too many campaign lies." 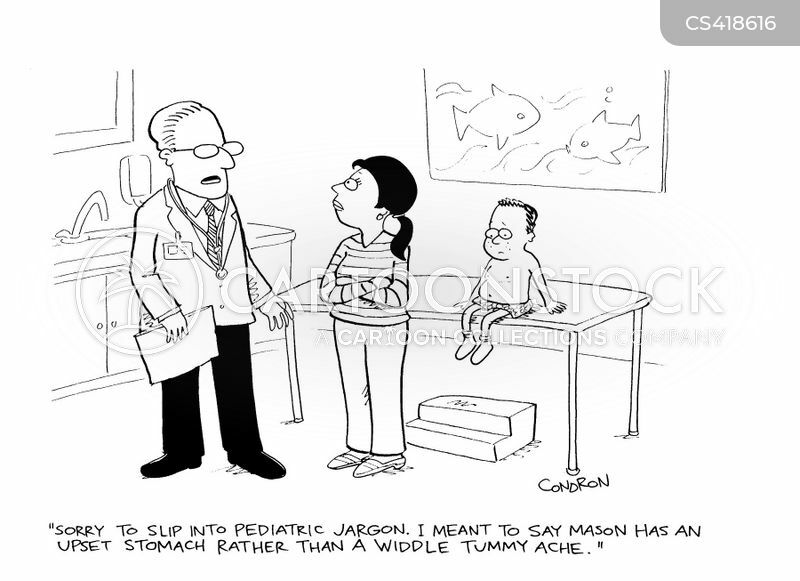 "Sorry to slip into pediatric jargon. 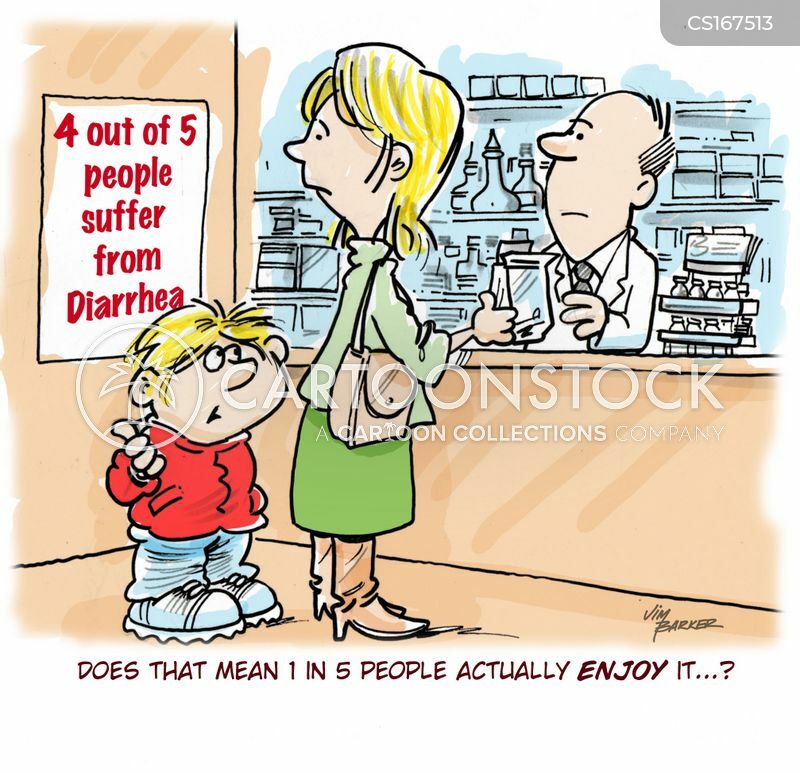 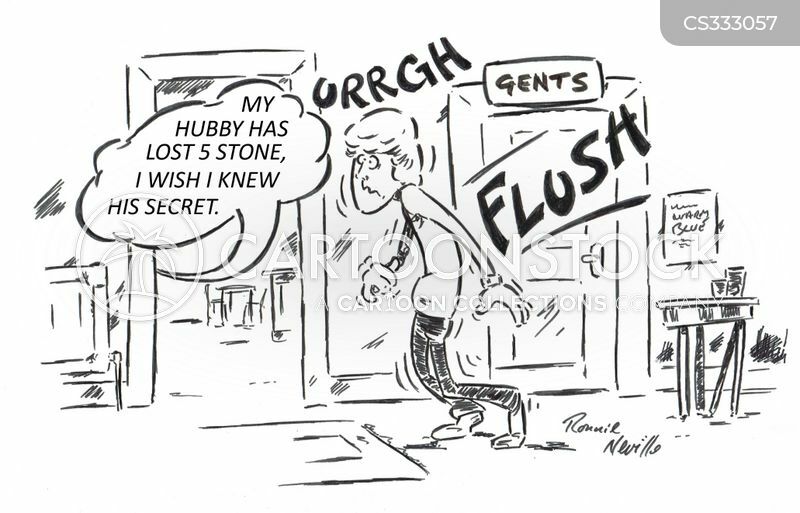 I meant to say Mason has an upset stomach rather than a widdle tummy ache." 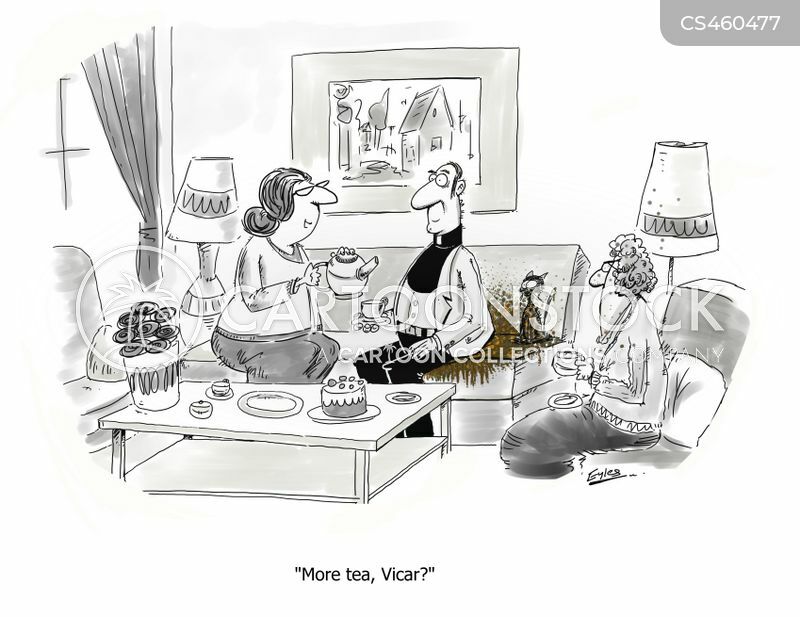 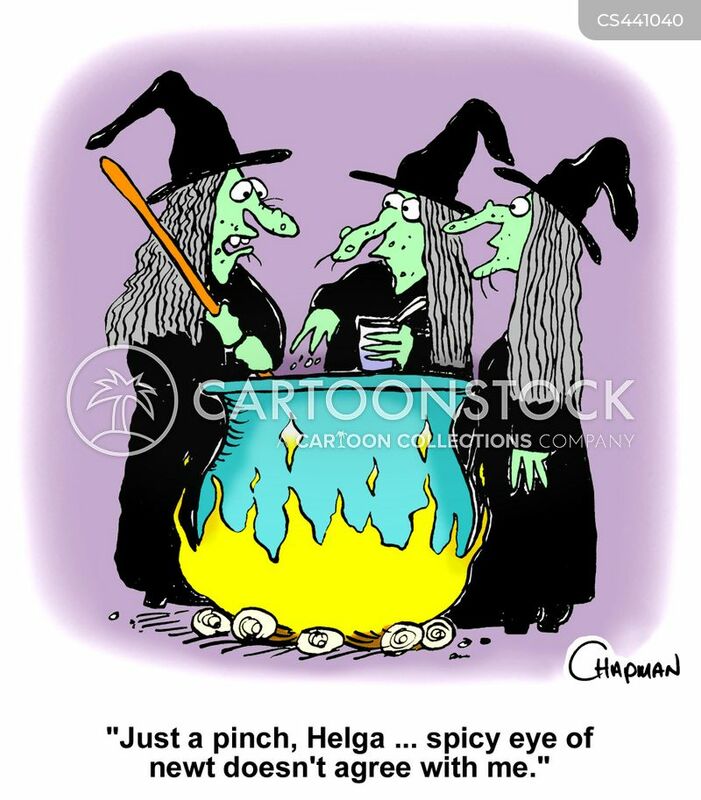 "Just a pinch, Helga ... spicy eye of newt doesn't agree with me." 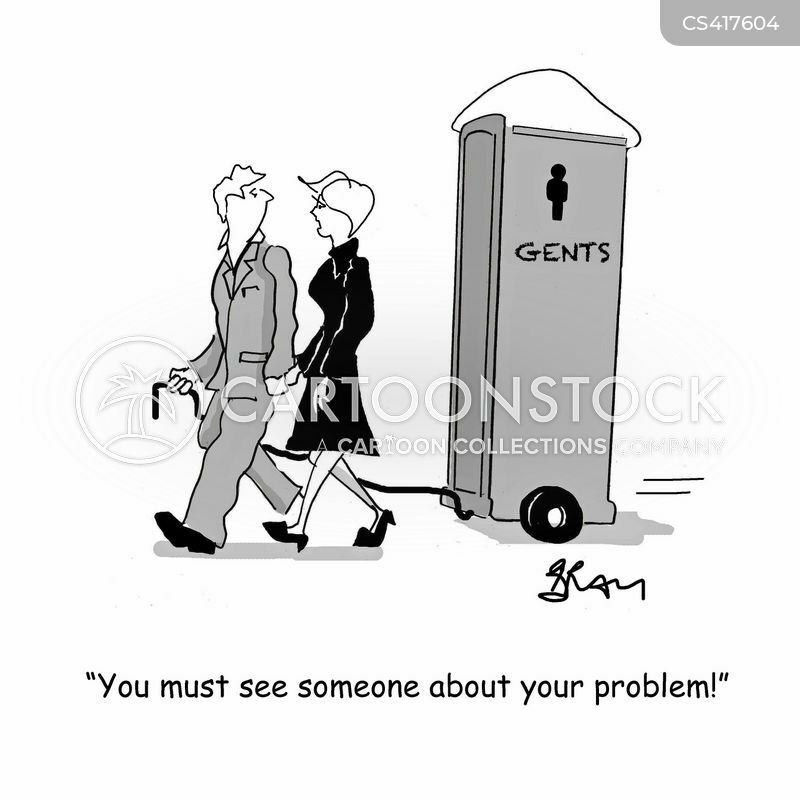 "You must see someone about your problem." 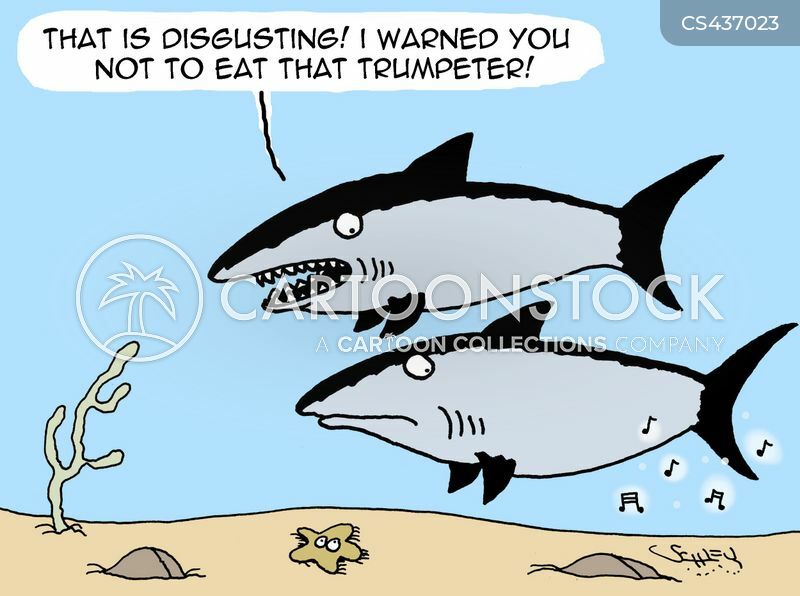 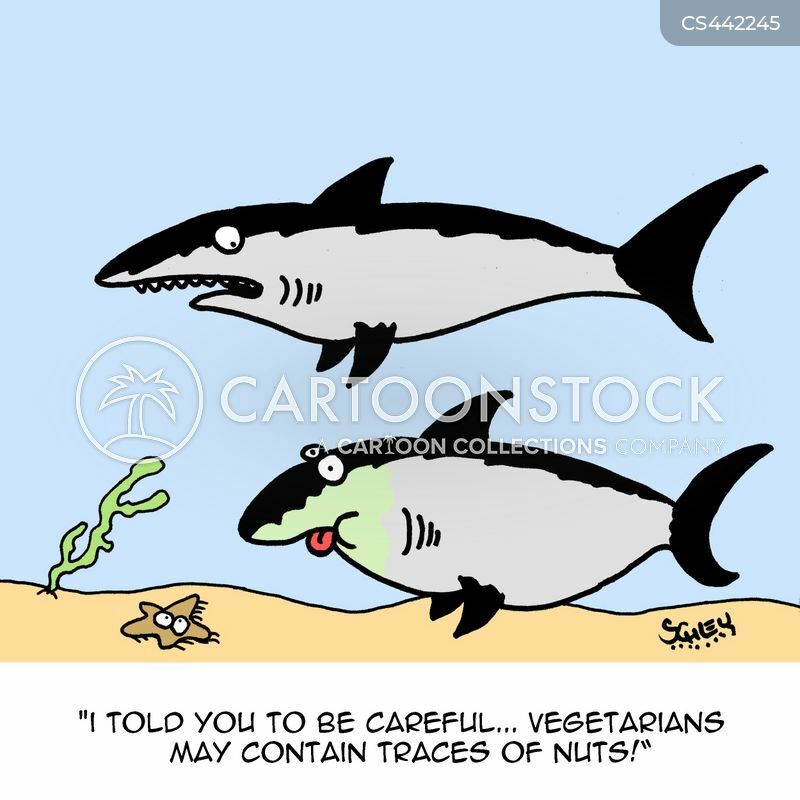 "I told you to be careful....vegetarians may contain traces of nuts!" 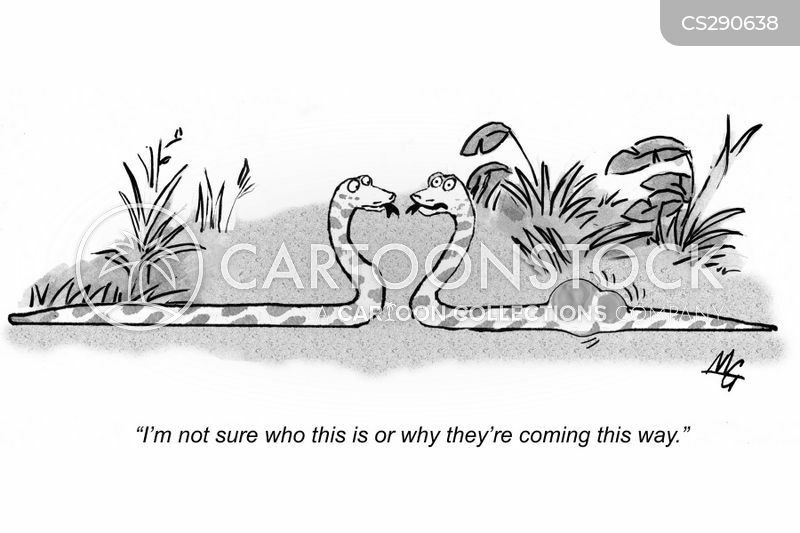 'I'm not sure who this is or why they're coming this way. 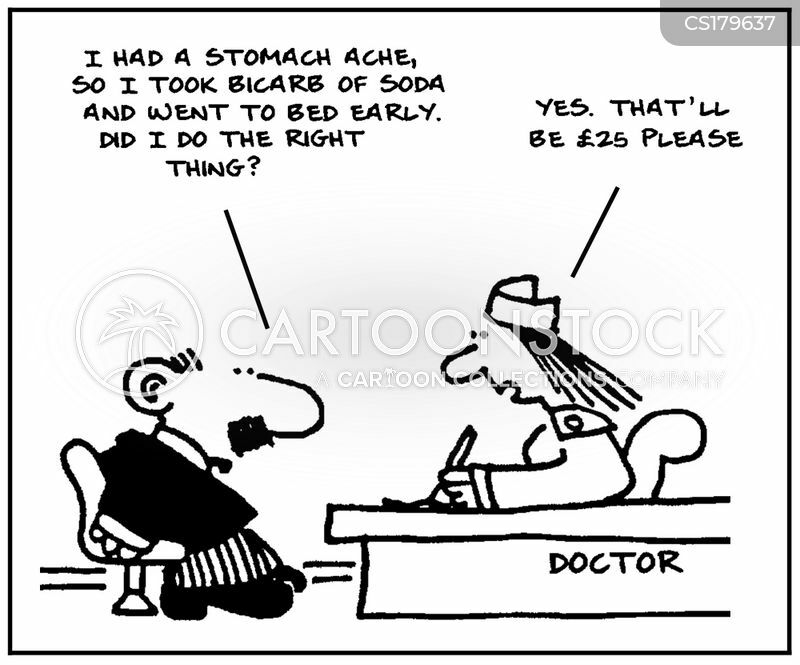 "I can't make it today! 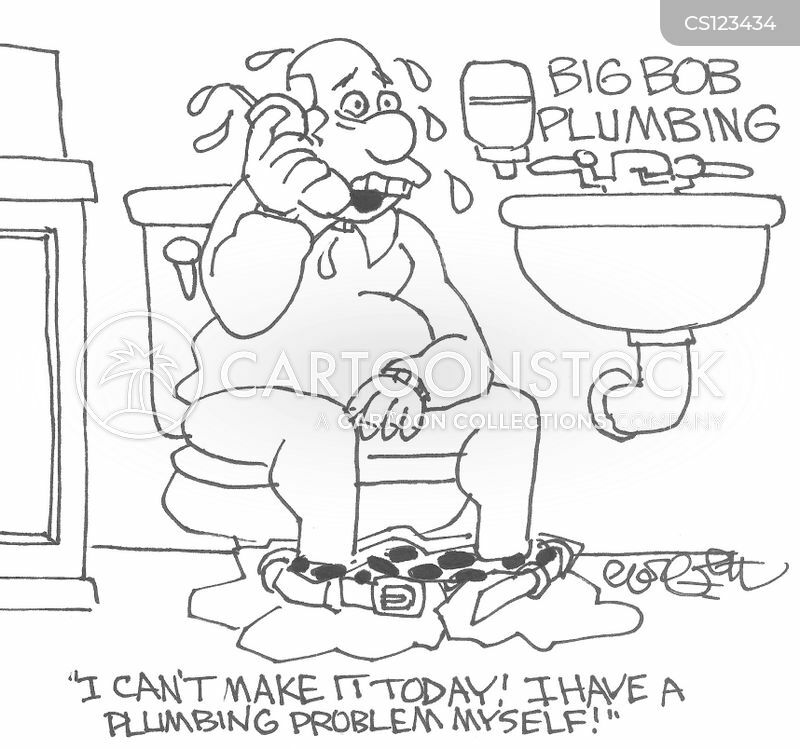 I have a plumbing problem myself!" 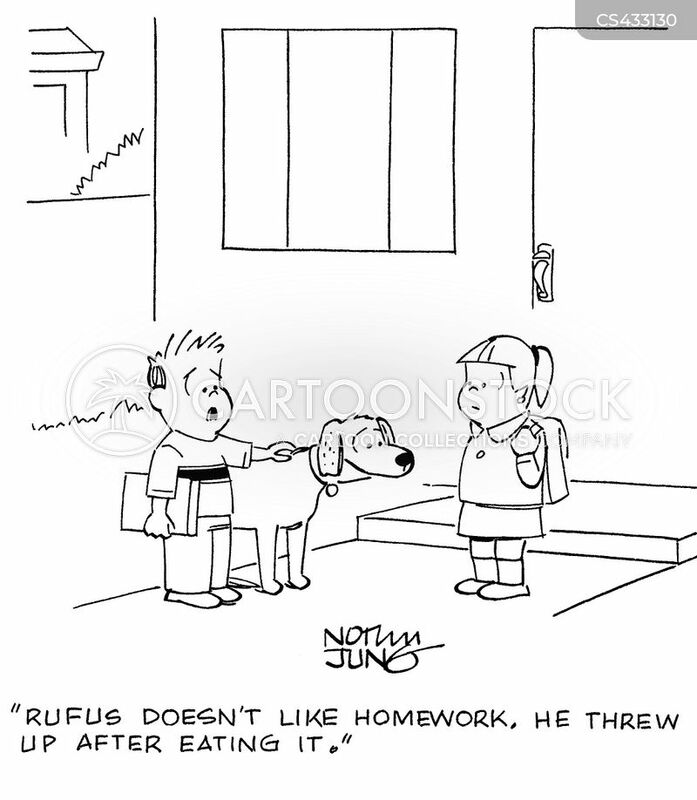 "Rufus doesn't like homework. 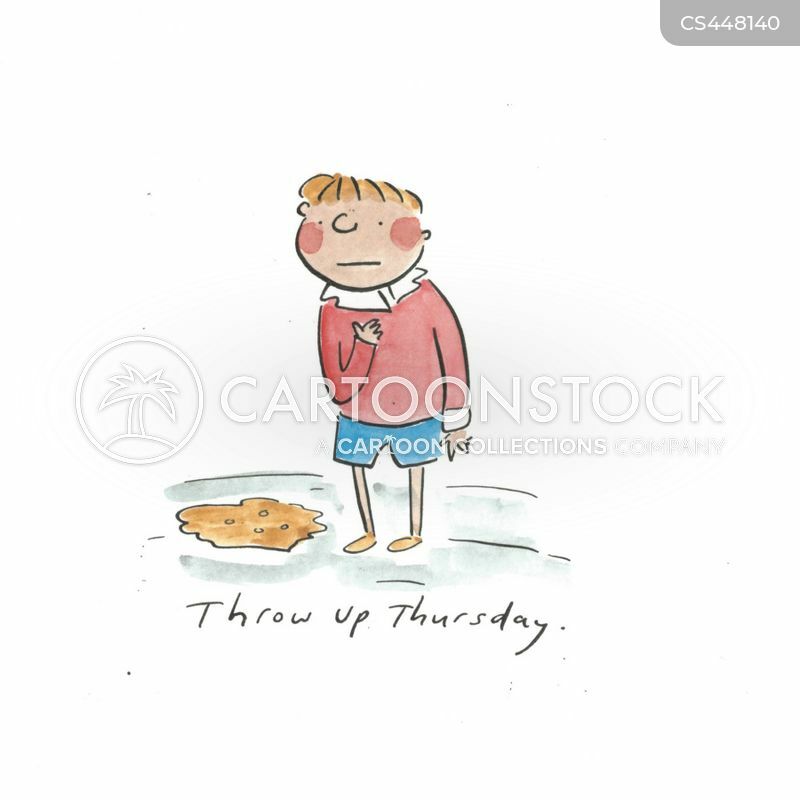 He threw up after eating it." 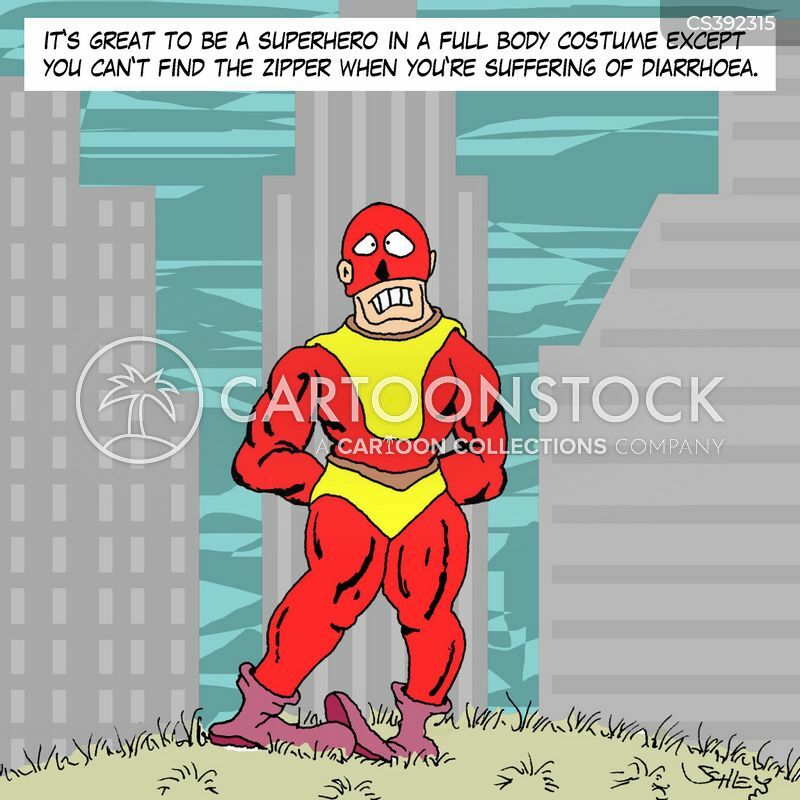 It's great to be a superhero in a full body costume except you can't find the zipper when you're suffering of diarrhoea. 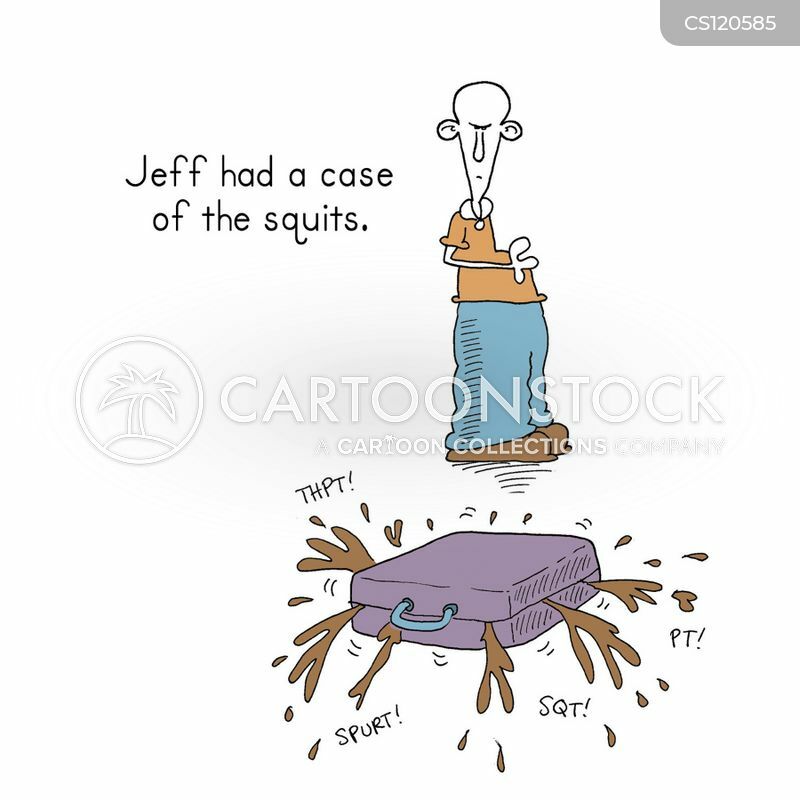 Jeff has a Case of the Squits. 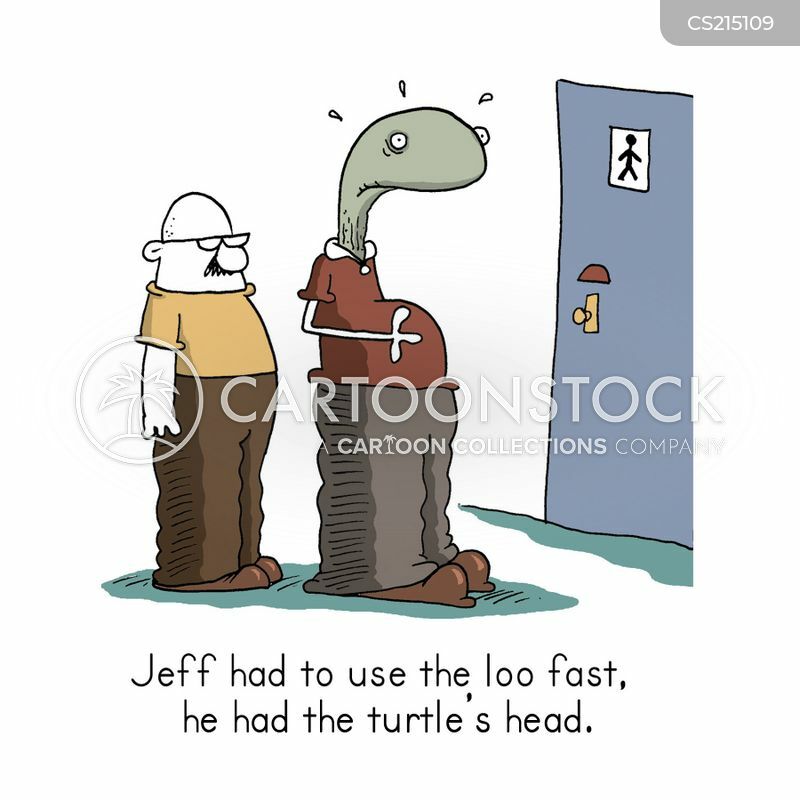 Jeff had to use the loo fast, he had the Turtle Head.